Pocket Colorimeter II Analysis System, Manganese using Periodate Oxidation Method. High Range, 0.2 to 20.0 mg/L. Includes HR Manganese Pocket Colorimeter II, reagent set (100 tests), manual and carrying case. USEPA approved/accepted for wastewater. Pocket Colorimeter II Analysis System, Manganese, Low Range using 1-(2-Pyridylazo)-2-Napthol (PAN) Method. Range: 0.01 to 0.70 mg/L as Mn. Includes LR Manganese Pocket Colorimeter II, reagent set (50 Tests), manual, and carrying case. By SEIBOLD Wasser - Analysatorenfabrik GmbH based in Klosterneuburg, AUSTRIA. 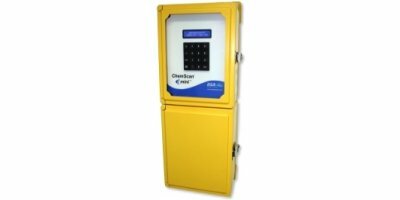 The Aztec 600 Manganese analyzers are designed specifically for the measurement of manganese in ground waters, surface waters and potable waters. With two different chemical methods available, you can choose a measuring range to suit your application. Adjustable Temperature Settings (37°C to 165°C, in 1°C Increments). Selectable Languages (Danish, Dutch, English, French, German, Italian, Polish, Spanish, Swedish). Customer programmable digestion temperature and duration. 30 Wells for 16 mm Vials. For COD, ISO-COD, TOC, Total Nitrogen, Total Phosphate. For Total Chromium. Hach DR/890 Colorimeter combines ease of use with high testing capabilities and field readiness. The MicroMac 1000 is designed to operate as a free standing colorimetric analyser which gives the user the ability to get 'live' data from a site for a short period of time without having to install complex on-line monitoring packages. Hach DR/850 Colorimeter combines ease of use with high testing capabilities and field readiness.